A family tradition since 1947, Next Door & Window has consistently risen above other window installers in the Arlington Heights, Illinois, area. How have we done so? Well, it all starts with the quality of our windows. We proudly source our windows from trusted manufacturers – vinyl windows from Sunrise and fiberglass windows from Infinity from Marvin and Marvin Windows – which allows us to attest to their impressive design, appearance, and performance. Plus, they are built with energy-efficient features such as low-emissivity coated glass and gas fills to reduce energy transfer. Our windows are also elegant and available in a variety of styles such as double hung, bay, casement, and awning, among others to meet your needs. Beyond our top-quality windows, we offer a number of other benefits that simply cannot be matched by other window installers in the Arlington Heights, IL, area. For example, we offer a comfortable sales process that does not involve pushy tactics, and we will do our best to find you the perfect replacement windows for your home and budget. Pre-finishing services – We have a pre-finishing facility where we can pre-paint or -stain your new windows to match your home’s color scheme, eliminating the hassle of having to hire an outside painting contractor. Labor warranties – Our five-year Next Door & Window labor warranty helps to protect your purchase and give you peace of mind of your investment. This is in addition to the lifetime coverage that comes with many of our products. Professional installations – If you require installation services, you can feel confident turning to us over other window installers. We have experienced installers that perform full-frame replacements, as opposed to simple insert installations that are often performed by other window companies. This ensures you receive a brand-new, beautiful window that is built to last and function correctly for many years to come. To learn more about the ways in which we rise above other window installers in the Arlington Heights, IL, area, contact Next Door & Window today. Finding the right door installers to replace the entry, storm, or patio door at your residence isn’t always easy. But, with Next Door & Window, you can expect to receive a combination of top-quality doors and exceptional customer service that will leave you beyond impressed. When you see our door selection and all of the benefits of working with us, it will become clear that we are the easy choice for your door replacement. Doors that are built by respected manufacturers, such as ProVia, ThermaTru, Infinity from Marvin, and Marvin Windows, among others. If you are interested in working with us over other door installers in the Aurora, IL, area, contact Next Door & Window today for more information about our products and services. Choosing the right company to perform a door replacement at your residence in the Orland Park, Illinois, area can feel like a daunting task. There are numerous companies to choose from, and finding the right door installers can be the difference between a satisfactory door replacement and an unsavory one. But, there are several important things you can look for that will help you decide whether a particular door installer may be right for your replacement project. Does the company offer a variety of doors – such as entry, patio, and storm – to meet your exterior door needs? Do they source their doors from trusted, industry-leading manufacturers? Are their doors available in a variety of materials, finishes, and color options to blend in with the existing paint scheme at your home? Can they perform professional installations, if necessary? Do they offer dedicated customer service and additional benefits such as workmanship warranties? After asking these questions about the door companies in the Orland Park area, you will likely be able to narrow your choices down. One company worth considering is Next Door & Window. A family tradition since 1947, we have helped countless homeowners upgrade their residences with beautiful and highly functional exterior doors. We source our entry, patio, and storm doors only from well-known brand names in the industry – ProVia, Infinity from Marvin, and Marvin, just to name a few. Our impeccable doors are available in myriad finishes and colors to ensure a seamless fit with your home’s existing paint scheme. And, we use a skilled team of installers who will install your door properly – the first time. We strive to perform timely installations and keep tidy workplaces to lessen the burden on your everyday life. We are so confident in our work that we offer a five-year Next Door & Window labor warranty, in addition to the lifetime coverage that comes with many of our products. To learn more about how we separate ourselves from other door installers in the Orland Park, IL, area, contact Next Door & Window today. Are you looking to upgrade the windows at your home in the St. Charles, Illinois, area? If so, you’ve likely come across several different window options during your search, including double pane windows. 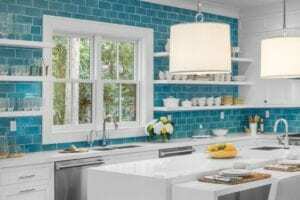 This type of window is very popular on today’s market and offers a number of key features and benefits that make them an appealing option for many homeowners. Let’s take a look at some of the advantages afforded by windows with two panes of glass. Compared to windows with only a single glass pane, double pane windows offer far better insulating power than their counterparts. Energy from the outside will have a difficult time transferring into your home, which lessens the burden on your HVAC system, as it won’t have to work as hard to maintain comfortable indoor temperatures throughout the year. It will be able to more easily keep your home cool in the summer and warm in the winter. Double pane windows offer more than just improved insulation. They can also reduce noise infiltration into your home. This makes them an appealing option for homeowners who live near busy roads, noisy airports, or bustling neighborhoods. Windows with two panes of glass offer more protection for your home than windows with only one. They are tougher to break and are more likely to withstand high winds and other inclement elements. The window replacement experts at Next Door & Window are proud to offer double pane window options to homeowners throughout the region. We have numerous frame materials and styles options, and we can even pre-paint or pre-stain your windows to blend in seamlessly with your home’s existing color scheme. For more information about the double pane windows that we offer to homeowners in St. Charles, IL, and throughout the nearby communities, contact Next Door & Window today. There are seemingly endless door companies serving the Downers Grove, Illinois, area. But, only Next Door & Window offers products from leading manufacturers, installations performed by trained professionals, and exceptional customer service that will leave you completely satisfied with your experience. What Sets Next Door & Window Apart? We separate ourselves from other door companies in the Downers Grove, IL, area in a number of different ways. For starters, we offer a variety of doors, including entry doors, patio doors, and storm doors to ensure that we have the type of door you are looking for. But, the benefits don’t stop there. We source our entry doors from ProVia – one of the most respected and well-known names in the industry. Their steel and fiberglass doors are second to none and are equipped with insulation channels and a thick construction that helps to make them durable and energy efficient. Some of our other entry, patio, and storm door manufacturers include: ThermaTru, Infinity from Marvin, and Marvin Windows. If you require installation services, Next Door & Window is the company you can count on. We use highly trained installers who perform some of the finest installations in the area. They will measure your new door multiple times and perform quality assurance checks to make sure your door is installed properly, down to the finest details – something not always offered by other door companies. You can expect the most in terms of energy efficiency and performance when our installers affix your new door to your home. Here at Next Door & Window, we have a personable service department and expert project managers, all of whom will work with you from the moment you call until the end of your door replacement. They will be there to answer questions and make sure that you receive the door of your dreams. Plus, to help ease your mind about your investment, many of our products come with lifetime coverage, in addition to our own full five-year Next Door & Window labor warranty. To learn more about how we stand out among other door companies in the Downers Grove, IL, area, contact Next Door & Window today. Homeowners looking to replace the windows at their home have a major decision to make – what type of frame will be best? 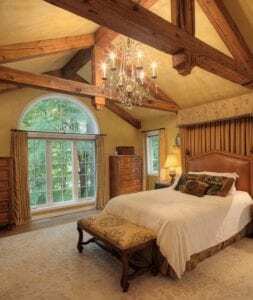 There are plenty of options, including fiberglass and wood, and both of those options present unique features and benefits that may be appealing to some homeowners. But, vinyl windows also offer numerous benefits, and this type of window offers arguably the best blend between appearance, performance, and cost-effectiveness. And, when it comes to vinyl replacement windows in the Wheaton, Illinois, area, homeowners know they can confidently turn to the professionals at Next Door & Window. Here at Next Door & Window, we proudly source our vinyl windows from trusted, industry-leading manufacturer, Sunrise Windows. These windows are some of the finest vinyl options available on today’s market, and they come equipped with modern features that help to set them apart from the rest. For example, the glass panes – available in double and triple options – are coated with a Low-E glazing that helps to reduce heat transfer. This lessens the strain on your HVAC system to keep your home cool in the summer and warm in the winter. Additionally, our vinyl replacement windows are low maintenance and offer longevity thanks to their frame construction. The vinyl material they are made with can be easily cleaned and is resistant to cracking and chipping over time against the elements. If you are interested in the vinyl replacement windows that we offer to homeowners in Wheaton, IL, and throughout the surrounding areas, contact Next Door & Window today for more information. Window installers have an important job. When you entrust them to replace your home’s windows, you are expecting them to install beautiful upgrades that provide years of beauty, performance, and energy efficiency. You’re also counting on them to work quickly and treat you and your home with respect. That’s why you shouldn’t turn to just any window installer; you should make sure you work with a company that offers top-quality products and has a long list of satisfied customers. Next Door & Window is the company you can count on for both. When you turn to us over other window installers to neatly fit these windows into your home, you can rest assured that you are in good hands. That’s because your installation will be left to highly trained and skilled professionals. We perform full-frame replacements and review our windows for accuracy and exactness eight separate times before, during, and after the installation process. You’ll be hard pressed to find other window installers that can match this level of attention to detail. So, when it comes time to upgrade the windows at your Aurora, IL, home, don’t trust just any window installers. Turn to the company that has your best interests in mind – Next Door & Window. Contact us today for more information about our products and services. There are numerous window installers serving the Orland Park, Illinois, area, but Next Door & Window consistently rises above the rest by offering top-tier windows from trusted manufacturers, reliable installations, and additional benefits that are nearly impossible to find elsewhere in the industry. Let’s take a look at how we stand out among the competition. We are unique among window installers because we have a pre-finishing facility. This means that you can supply us with a color swatch or piece of trim, and we can create a custom paint or stain color to perfectly match the interiors or trim work on your windows. This eliminates the need to hire an outside painting contractor, saving you time and money. Our installation crews perform full-frame replacements, which means that we remove the entire window frame and replace it with a beautiful upgrade for lasting performance. Some window installers cut corners and simply perform insert installations, but not us. When you turn to us for window installation, you can expect a flawless finish. That’s because we review our windows eight different times during installation for accuracy and exactness. And, we’ll be careful with your curtains, drapes, or other window treatments. In fact, we can even rehang them upon request. If you are interested in working with our team over the other window installers serving the Orland Park, IL, area, contact us today for more information. When you do, one of our friendly representatives will gladly answer any questions and help you get started on your upcoming window replacement project. What makes sliding windows from Next Door & Window so great? For starters, our fiberglass and vinyl slider windows are sourced from trusted, industry-leading manufacturers. Our vinyl windows are crafted by Sunrise Windows, while our fiberglass options are made by Infinity® from Marvin® and Marvin Windows. Both options are appealing and offer superior durability against the elements when compared to traditional wood windows. In addition, our sliding windows are energy efficient thanks to low-E coated glass that helps to reduce energy transfer into and out of your home. This allows your home to more easily maintain comfortable temperatures throughout the year, even in the frigid winter and sweltering summer. To learn more about our sliding windows or the impressive benefits we offer to homeowners throughout St. Charles, IL, contact Next Door & Window today. If you are looking to upgrade the windows at your residence in the Downers Grove, Illinois, area, you’ve likely come across double pane windows during your search. You may be wondering, “What exactly are double pane windows and are they worth the investment?” You’re not alone. Almost every window available on today’s market comes with two panes of glass, but if you aren’t up to date on the latest window technology, it’s hard to know exactly what this term means. Thankfully, Next Door & Window is here to help you learn more about this type of window. 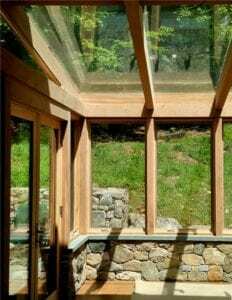 Before diving into the advantages of this type of window, it may help to understand exactly what a double pane window is. A double pane window – as you may have guessed – has two sheets of glass within the window frame. In between the two pieces of glass, there is a small space that provides extra insulation. But, why are two panes better than one? The No. 1 benefit of opting for windows with two panes of glass is their ability to insulate. The small space that exists between the glass panes is typically filled with insulating gas, which helps to reduce energy transfer into and out of your home. In fact, double pane windows, on average, are 50 percent more efficient than their single pane counterparts. This allows your HVAC system to more easily regulate comfortable indoor temperatures throughout the year. In addition, double pane windows are great for noise protection. If you live in a noisy neighborhood or by a busy roadway, this type of window can help to reduce any noise infiltration into your home. And, two panes of glass are more difficult to break than just one, providing your home with an extra level of security against break-ins. At Next Door & Window, we are proud to offer double pane windows that are manufactured by some of the most recognizable names in the window industry, including Sunrise Windows, Infinity® from Marvin®, and Marvin Windows. To learn more about our impressive windows, contact Next Door & Window today. We proudly serve Downers Grove, IL, and the surrounding areas. The entryway to your home is likely the first thing that guests will see when entering your residence. 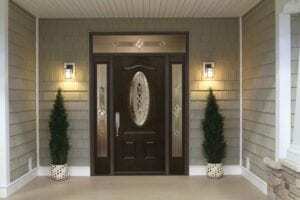 Upgrading your home’s front door gives you the perfect opportunity to make a strong impression from the get-go. And, when it comes to upgrading your entry door, Next Door & Window is the company you can count on. Unlike other door companies in the Wheaton, Illinois, area, we offer top-quality doors, excellent customer service, and even installation services if required. Energy efficient – Modern insulation channels, perimeter seals, and a thick build all work together to help keep out drafty air and ensure your home remains at an ideal temperature throughout the year. Elegant – You can customize your door’s color, hardware, screens, and decorative glass to provide the perfect look for your home’s entryway. Few door companies can offer this level of customizable control. Protected – Our doors come with manufacturer warranties to help protect your investment. And, for even more assurance, we offer a five-year labor warranty for any installation work we perform. We have a team of experienced, skilled professionals who will help you select the ideal door for your home and budget. We’re available throughout the entire process to answer any questions or provide you with updates about your new door. This service, along with our impressive entry doors, helps to separate us from other door companies in the area. 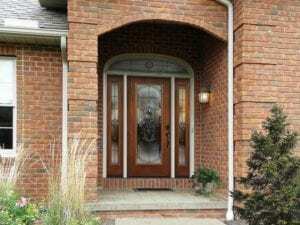 To learn more about our entry doors and how we consistently set ourselves apart from other door companies serving the Wheaton, IL, area, contact Next Door & Window today. While double pane windows have become more and more popular in the Arlington Heights, Illinois, area, there are still homes in the region that have only single pane windows. If you are ready to upgrade to double pane windows, or simply replace your existing ones, consider the window replacement experts at Next Door & Window. 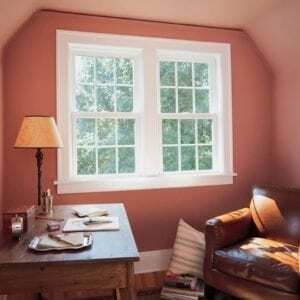 Why Upgrade to Double Pane Windows? Insulation and energy efficiency – In between the two sheets of glass, there is a small space filled with insulating gas – usually argon. This space and gas reduces heat transfer into and out of your home, thus improving its overall energy efficiency. Noise reduction – The added glass pane helps to reduce outdoor noise, which is an important benefit for homeowners who live near roads, highways, train tracks, or in a loud, bustling neighborhood. Home security – Compared to single pane windows, double pane windows offer an extra layer of protection from break-ins and intruders. They are made to a much higher standard than single pane windows, and thus, are harder to shatter. Next Door & Window proudly offers double pane windows to homeowners in the area. We have a number of styles, including casement, double hung, awning, and bay to better meet the needs of our customers. To learn more about the double pane windows that we install for homeowners in Arlington Heights, IL, and throughout the surrounding areas, contact Next Door & Window today. Vinyl replacement windows from Next Door & Window offer the perfect balance between cost-effectiveness, functionality, and appeal. 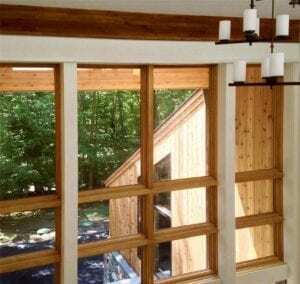 Compared to wooden windows, they require slightly less maintenance, while they still offer the durability afforded by fiberglass, only at a more cost-effective price. Vinyl windows have become a popular choice among homeowners in Aurora, Illinois, and beyond, and it’s easy to see why. Next Door & Windows can also install your vinyl replacement windows if you require. Factory trained and certified installers will perform a full-frame replacement, where they will remove the entire window, frame and all, and replace it with an entirely brand-new product. This ensures a flawless finish, one that is not always matched by other companies that perform simple inset installations. If you are interested in upgrading to vinyl replacement windows at your home in the Aurora, IL, area, then contact Next Door & Windows today for more information. More and more, homeowners in Orland Park, Illinois, and beyond are opting for double pane windows over traditional single pane options. Why is that? Well, double pane windows offer significant advantages over their single pane counterparts and understanding these benefits can be important for homeowners looking to invest in replacement windows. Let’s take a closer look at the advantages of a window with two panes of glass. The most significant advantage double pane windows have over single pane options is energy efficiency. This style of window has two sheets of glass, with a small space in between each pane. This additional space is often filled with an insulating gas, such as argon, to boost the insulating power of the window. With a higher insulating power, double pane windows reduce energy transfer and lessen the burden on your HVAC system, allowing it to more easily keep your home at a comfortable temperature throughout the year. Another benefit of double pane windows is their ability to reduce sound infiltration. This advantage is often overlooked, but it can be crucial for homeowners in the Orland Park, IL, area who live near roads or highways or simply in noisy neighborhoods. Next Door & Window is proud to offer this type of window, and when you turn to us, you can expect even more benefits than just the ones listed above. We have a pre-finishing facility where we can paint or stain your windows to perfectly match your home’s color scheme, so that when you receive them, they are ready to be installed. And, we even offer installation services if you require. To learn more about the features and benefits of the double pane windows we offer to homeowners in the Orland Park, IL, area, contact Next Door & Window today. There are numerous window installers serving the St. Charles, Illinois, area, but only Next Door & Window offers the perfect combination of first-rate windows, exceptional craftsmanship, and friendly customer service. All of these factors have helped us upgrade the homes of countless customers in the region, and we are confident that we can help improve yours next. We proudly offer three different frame materials – fiberglass, vinyl, and wood – to ensure we have something to meet your tastes. Usually, window installers only offer one frame material, or try to push a specific one, but not Next Door & Window. We’ll work with you to find the perfect window solution for your home. And, we have a pre-finishing facility that allows us to paint or stain your windows to match the color scheme of your home – both inside and out. This is a rarity in the industry, and you’ll never have to worry about the hassle of hiring an outside painting contractor when you work with us, saving you time and money. Unlike most window installers, our factory certified installers perform full-frame replacements. That means we’ll remove your entire window – frame and all – and replace it with a brand-new one to provide a lasting, beautiful finish. We back our installations with a five-year labor warranty, in addition to manufacturer warranties that come with our windows. This is a testament to the confidence we have in our installations, and it will allow you to rest easy knowing your investment is protected. For more information about how we rise above other window installers in the St. Charles, IL, area, contact us today. Among entry door proprietors and installers in the Downers Grove, Illinois, area, Next Door & Window is the company that consistently rises above the rest, offering unrivaled knowledge, experience, and craftsmanship. We know entry doors. And, we want to educate our customers on the various options they have when choosing doors from us. We offer three different entry door materials – steel, fiberglass, and wood – all of which come with distinct advantages. Steel – Arguably the most durable of all three, steel is the ideal option for longevity and offers superior protection from the elements. It is also a great choice for homeowners who value security and safety. 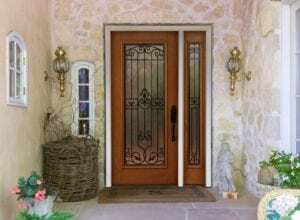 Fiberglass – Fiberglass doors offer the perfect blend of cost-effectiveness and durability. And, they require little to no maintenance and can be stained or painted to match the color scheme of practically any home. Wood – While wood entry doors do require more upkeep than steel and fiberglass, they offer timeless beauty and a traditional appearance that is sure to “wow” guests who enter your home. To learn more about the different entry doors we offer, contact Next Door & Window today. Discover for yourself how we distinguish ourselves from other door installers in the Downers Grove, IL, area. Finding the right door installers to complete a project at your home in the Wheaton, Illinois, area can be a difficult task. With so many options out there, it can be hard to know exactly what to look for in a company. That’s why it’s important to ask the right questions about the installers you are comparing, as it will allow you to whittle down your choices until you ultimately pick the right one. Do they offer doors from trusted, name-brand manufacturers? Are their doors available in a number of types, styles, and materials to meet my needs? Can they install the doors, and if so, can they get the job done right the first time? Do they have a personable staff and installation team capable of answering your questions? Do they offer warranties or additional perks that set them apart from the competition? When you turn to Next Door & Window, you’ll find that the answers to these questions are a resounding, “Yes.” We offer entry doors, patio doors, and storm doors, all of which are sourced from top manufacturers in the industry, such as ProVia and Marvin, among others. All of our impressive, state-of-the-art doors are installed by factory trained and certified door installers. We back their work with a five-year labor warranty that comes in addition to manufacturer warranties to help protect your purchase. And our installers aren’t just top craftsmen, they are also friendly and will be there every step of the way to ensure that you receive the door you have been dreaming of. To learn more about the ways in which we separate ourselves from other door installers in the Wheaton, IL, area, contact Next Door & Window today. Upgrading the windows at your home is a great way to boost both curb appeal and energy efficiency. –especially when you turn to the window replacement specialists at Next Door & Window. We have an expansive offering of fiberglass, vinyl, and wood windows that are sourced from industry leading manufacturers and are equipped with modern features that are sure to leave your residence looking and functioning better than ever. In addition to our top-quality home windows, we also offer services such as pre-finishing and reliable installations if you require. Our pre-painting and pre-staining facility allows us to paint or stain your windows before you receive them. 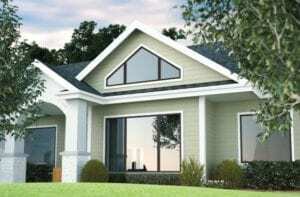 We’ll ensure they are delivered in the exact color you desire to match your trim and interior and exterior color schemes. This eliminates the hassle – and cost – of having to hire an outside painting contractor. And, you can count on us if you need installation services. Our installers perform first-rate, full-frame replacements, which means we replace the entire window – frame and all – to give you an entirely new window and a flawless finish. If you are interested in upgrading the windows at your home in the Arlington Heights, IL, area, contact Next Door & Window today for more information. One of our friendly representatives can help answer any questions or schedule a consultation for your upcoming window replacement. Among the many door companies serving the Aurora, Illinois, area, one business consistently rises above the rest – Next Door & Window. A family tradition since 1947, we have helped countless homeowners improve the appearance and functionality of their homes by providing and installing first-rate entry doors, patio doors, and storm doors. No matter which type of door you require, you can count on impeccable quality and a positive customer experience unlike any other in the industry. Here at Next Door & Window, we source our doors from reliable, industry-leading manufacturers. 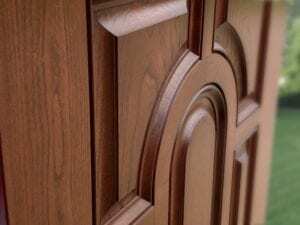 For example, our wood, steel, and fiberglass entry doors are manufactured by ProVia. They come with features such as insulation channels, dual perimeter seals, and custom bottom sweeps to help boost the energy efficiency and security of your home. We also offer patio doors from Marvin, as well as Infinity and Integrity from Marvin. This ensures that for any type of door you require, we have a name-brand option that is sure to be right for your needs. We have an experienced team of representatives that are dedicated to helping you find the ideal door solution for your home and budget. Other door companies may pressure you into buying a certain type of product with unnecessary add-ons, but not us. Your complete satisfaction is our top priority, and we will go above and beyond to ensure your needs are met and you feel comfortable with the decisions you make. Our project managers will be there to answer any questions along the way and our factory trained and certified installers will complete a tidy and timely installation to minimize the disruption to your daily life. To discover for yourself how we distinguish ourselves from other door companies in the Aurora, IL, area, contact Next Door & Window today. One of our representatives would be happy to answer any questions and provide you with more details about our products and services. Do you have a sliding window that no longer operates as smoothly as it once did? Are your sliding windows unsightly or damaged due to wear and tear? If so, turn to the replacement window specialists at Next Door & Window. Plenty of satisfied homeowners in the Orland Park, Illinois, area already have, and we are confident that we can help you next. Beyond our top-quality sliding window options, we offer a number of other advantages that have helped make Next Door & Window the premier choice among replacement window companies in the Orland Park, IL, area. For example, we have a pre-finishing facility where we can paint or stain your windows to match your trim and existing color scheme for a seamless integration with your home’s appearance. Next Door & Window also offers installation services if you require them. Our factory trained and certified installers will perform full-frame replacements to ensure your windows are installed snuggly into place, eliminating draftiness. To learn more about the sliding window options we offer to Orland Park, IL, homeowners, contact Next Door & Window today. 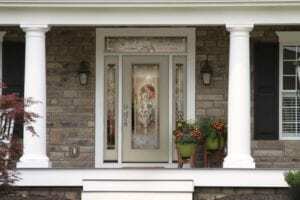 Is your front door old, damaged, or unsightly due to aging and wear and tear? Or, does your patio door get stuck when opening or closing? If so, it may be time for door replacement at your home. And, when it comes to door installers in the St. Charles, Illinois, area, homeowners time and again place their trust in the experts at Next Door & Window. Our doors are equipped with state-of-the-art features, and many include energy-efficient glass panes, durable frames with insulation channels, and sturdy hardware to boost security at your home. But, the benefits of working with Next Door & Window over other door installers go far beyond just top-quality doors. Our experienced door installers are factory trained and certified to install your new front, patio, or storm door in a way that ensures optimal functionality and aesthetic appeal. They strive to perform timely and tidy installations in order to minimize the disruption to your everyday life. We are so confident in their work that we offer a 5-year Next Door & Window labor warranty. This is in addition to the Lifetime Coverage that comes with many of our products, allowing you to rest easy knowing that your purchase is protected. If you are interested in working with the most trusted door installers in the St. Charles, IL, area, contact Next Door & Window today. One of our friendly representatives can answer any questions you may have about our products or services. When it comes to window installers in the Downers Grove, Illinois, area, one company consistently stands out from the rest of the pack – Next Door & Window. A family tradition since 1947, we have helped countless homeowners in the region upgrade their homes with gorgeous, energy-efficient windows. We offer some of the finest windows in the industry from top-tier manufacturers such as Marvin Windows, but the benefits of working with our experienced team don’t end there. Why Choose Next Door & Window Over Other Window Installers in Downers Grove, IL? Pre-finishing services – We have a pre-finishing facility where we can stain or paint your windows to exactly match the trim and existing color scheme of your home, both inside and out. You’ll receive your windows already painted or stained, allowing you to avoid hiring outside painting contractors, which can be stressful and expensive. Full-frame replacements – If you require installation services, you can expect nothing but the best. Unlike other window installers who perform simple insert installations, the professionals at Next Door & window perform full-frame replacements to provide an elegant, flawless finish that is truly one of a kind. Protective warranties – Many of our windows and other products come with Lifetime Coverage to protect your purchase. For even more coverage, we also offer a 5-year Next Door & Window labor warranty designed to give you additional peace of mind about your window replacement investment. For more information about the ways in which we distinguish ourselves from other window installers in the Downers Grove, IL, area, contact Next Door & Window today. There are plenty of window installers in the Wheaton, Illinois, area, but only Next Door & Window offers the perfect combination of top-tier products, expert craftsmanship, and excellent customer service. Since 1947, we have used this blend of benefits to serve an ever-growing list of satisfied customers throughout the region. If it’s time for a window replacement at your home, we are confident that we can help you next. The windows we offer are available in three different frame materials – fiberglass, vinyl, and wood – and we source them from industry-leading manufacturers such as Marvin Windows, Infinity from Marvin, and Sunrise Windows, among others. This ensures you have a wide selection to choose from, and no matter which windows you decide on, you can expect impeccable quality and products that are equipped with the most modern features in the industry. 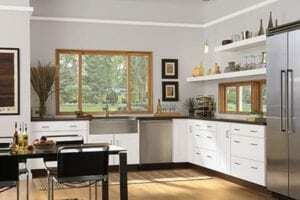 Few window installers in the Wheaton, IL, area can match our impressive product selection. Here at Next Door & Window, we are happy to offer our replacement windows on their own, without installations. However, we also offer window installation services. I If you require our services, you can expect craftsmanship that is second to none among window installers in the area. Our team performs full-frame replacements, were we remove the entire window – frame, trim, and all – and replace it completely for a flawless finish. Next Door & Window has a full staff of highly trained representatives who are committed to helping you find the right window replacement solution for your home. Additionally, we have experienced project managers and field service techs who will help guide you through the project, answer any questions along the way, and ensure all of your service requests are met. To learn more about how we separate ourselves from other window installers in the Wheaton, IL, area, contact Next Door & Window today. When it comes time for a window replacement at your residence in the Arlington Heights, Illinois, area, you’ll likely want to examine all of the different local companies. When doing so, it’s important to consider factors such as window selection, window quality, and past performance. With Next Door & Window, you’ll have access to a seemingly endless selection of windows from name-brand manufacturers and a track record of success that dates back to our founding in 1947. At Next Door & Window, it all starts with the quality of our windows and the wide selection we offer. We source our windows from reliable manufacturers such as Sunrise Windows and Marvin Windows, as well as Infinity and Integrity from Marvin. This ensures that our windows are top quality and allows you to take advantage of modern features such as low-emissivity coated glass and insulated frames that help to boost the energy efficiency of your home. No matter what type of frame material and style you decide on, you can expect a top-quality window that is designed to look great and function flawlessly for years to come. Here at Next Door & Window, we are proud to offer window installation services. Our experienced team can remove your old, damaged windows and replace them with gorgeous upgrades. We are one of the few companies in the area that performs full-frame replacements, which means we’ll remove the entire window – frame and all – and install a brand-new frame and the trim around it to create a superb finish. To learn more about our windows or the window replacement services we offer to homeowners throughout Arlington Heights, IL, contact Next Door & Window today. There are many door companies serving the Arlington Heights, Illinois, area, but only Next Door & Window offers a wide selection of top-quality doors from trusted manufacturers. We source our doors from industry-leading manufacturers, allowing us to provide you with products that are second to none. Regardless of the type of door you need, you can count on us to have what you’re looking for. You can turn to us simply for a brand-new door, or our expert installation team can perform a door replacement if you require. Our entry doors are available in three different materials – wood, steel, and fiberglass – and each one has its own unique benefits. For example, steel doors offer unrivaled security, while wood doors provide a traditional appearance. We source our patio doors from name-brand manufacturers like Marvin and Infinity from Marvin. To meet your needs for functionality, we offer patio doors that swing open and close or that slide on a track. Plus, our installation team can install patio doors that have two or three panes of glass and several different assembly options. Next Door & Window storm doors are durable and operate smoothly with little to no effort. They are available in a variety of colors and hardware finishes to ensure you find the storm door that you’re looking for. To learn more about how we stand out among other door companies in the Arlington Heights, IL, area, contact Next Door & Window today. Since 1947, Next Door & Window has served homeowners in the Orland Park, Illinois, area, offering some of the finest windows in the industry and a slew of other advantages that simply cannot be matched by other window companies. From our top-notch customer service to our unique pre-finishing services, the benefits of working with our team of professionals are seemingly endless. Limitless window options – Sourced from top-tier manufacturers, our windows are available in vinyl, fiberglass, and wooden frames to meet your needs. Plus, we offer numerous styles, including awning, slider, bay, bow, and casement, just to name a few. Pre-finishing services – We have a pre-finishing facility that allows us to paint or stain your new windows to perfectly match the existing paint scheme of your residence, inside and out. Professional installations – If you require installation services, you can feel confident when you turn to Next Door & Window. Unlike other window companies that only do simple insert installations, our factory-trained and certified installers perform full-frame replacements. This means that we remove your entire window, frame, and trim, and replace all components to create a beautiful finish. To learn more about the ways in which we separate ourselves from other window companies serving the Orland Park, IL, area, contact Next Door & Window today. One of our friendly representatives will gladly answer any questions and help you set up a window consultation. When guests visit your home, one of the first things they see is the front door. Your entry door can leave a lasting impression on visitors, which is why it is important to have an entryway that is both beautiful and inviting. If your existing door is old or damaged, consider reaching out to the door replacement experts at Next Door & Window. We offer some of the finest entry doors on the market, including products sourced from industry-leading manufacturers like ProVia. Their doors are available in steel, wood, and fiberglass materials, as well as a number of different colors to meet your needs for appearance and performance. 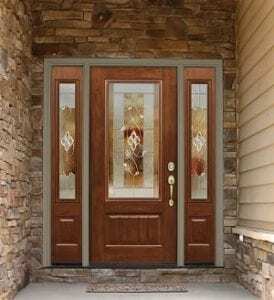 Regardless of the door material and color you decide on, you can expect to receive a gorgeous entry door that is sure to leave your entry way looking better than ever. ProVia’s doors offer more than just looks. They are also equipped with modern features such as dual perimeter seals, insulation channels, and custom bottom sweeps to help maximize the energy efficiency of your home and make it more secure. With all of these features and their gorgeous appearance, these doors are a popular choice among our customers. But, when you turn to Next Door & Window for door replacement at your residence in the Wheaton area, you’ll receive so much more than top-quality doors. 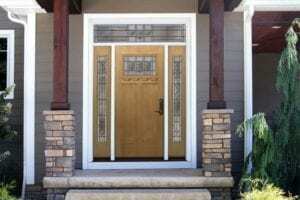 Why Choose Next Door & Window to Replace Your Entry Door? We offer free estimates and friendly in-home consultations where we’ll help you decide on the best door-replacement solution for your home. Many of our products come with Lifetime coverage, plus we add our own full five-year Next Door & Window labor warranty for any installation work we perform. We offer financing to all qualified homeowners, which makes it easier to get the new door you want. If you are interested in the door replacement services that we offer to homeowners in the Wheaton, IL, area, contact Next Door & Window today. What exactly are double-pane windows? They are windows that have two panes of glass inserted into the frame, separated by a small space that creates an air pocket between the panes. This air pocket serves as an insulator and reduces heat transfer into and out of your home. But what makes this window configuration offered by Next Door & Window such a good option for your home in the Naperville, IL, area? Noise reduction – Double-paned windows are ideal for anyone looking to cut down on noise pollution from the neighborhood or a nearby roadway. Improved energy efficiency – Thanks to the two panes of glass, these windows insulate your home better than their single-pane counterparts. Less energy will transfer, allowing your HVAC system to more easily keep your home cool in the scorching summers and warm in the depths of winter. Boosted security – The double panes create a tougher window that is more resistant to break-ins. 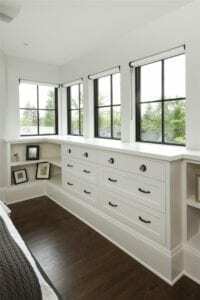 You can rest a little easier with this type of window installed at your home. We proudly offer windows with two low-emissivity coated glass panes that are housed in durable, low-maintenance frames available in several different materials, including wood, vinyl, and fiberglass. We also have a pre-finishing facility where we can paint or stain your new windows to perfectly match the existing color scheme at your residence. There’s no need to hire an outside painting contractor when you work with us. To learn more about the double pane windows that we install for homeowners throughout Naperville, IL, and the surrounding communities, contact Next Door & Window today. Are your slider windows looking outdated with chips and fading paint on the trim? Do the hinges on your awning window creak or catch when you operate them? If you are dealing with any of these problems – or others like them – it may be time to replace the windows at your home. Doing so is a great way to boost the appeal and functionality of your home. When you decide that it’s time for a window replacement at your residence in Orland Park, Illinois, you can confidently turn to the window pros at Next Door & Window. This allows you to select the window type that best meets your needs for appeal and durability. You’ll also be able to receive windows that are already painted or stained to blend seamlessly with the existing color scheme of your home. That’s because we have a pre-finishing facility where we can stain or paint your new windows before we ship them. We’ll take a piece of your existing or desired window trim and formulate a color to match, and then we’ll show you the color we have created and make sure we receive your final approval before painting or staining your home windows. For more information about our unique pre-finishing services or the home windows that we install for residents throughout Orland Park, IL, and the surrounding communities, contact Next Door & Window today. Comparing window companies to perform a replacement project at your home in the Arlington Heights, Illinois, area can be a difficult task. With so many options to choose from, how are you supposed to find the perfect one for your needs? Well, at Next Door & Window, we are confident that we can not only meet your needs – but truly exceed them. How do we do this, you may ask? 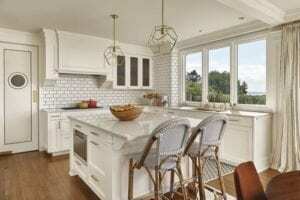 There are a number of ways in which we separate ourselves from other window companies in the Arlington Heights, IL, area, but one of the main reasons is our unique pre-finishing facility. We can take whichever windows you choose – we have fiberglass, vinyl, and wooden frames – and pre-paint or pre-stain them to perfectly blend in with the existing interior paint scheme or window trim at your home. This helps you save time and money because you won’t have to find an outside painting contractor to complete this work after your windows have been installed. These are just a few of the reasons cited when customers tell us why they turned to us over other window companies in the Arlington Heights, IL, area. To find out more, contact us today! Next Door & Window has proudly served Downers Grove, Illinois, and the surrounding areas since 1947. In that time, we have earned a sterling reputation as the company to trust for impressive windows and lasting installations. As replacement window experts, we work with almost every style of window imaginable, and one of our most popular among homeowners in the area is the sliding window. Offering simple functionality and a striking appearance, our sliding windows are some of the finest available in the industry. We source them from trusted, industry-leading manufacturers like Sunrise Windows, Marvin Windows, and Infinity and Integrity from Marvin. This not only ensures a flawless assembly, but it also means that your new sliding windows will be equipped with modern features such as low-emissivity coated glass to reduce heat transfer and improve the energy efficiency of your home. We also have a pre-finishing facility that allows us to pre-paint or pre-stain your new sliding windows before installation, which saves you the hassle of having to hire an outside painting contractor. But the benefits of choosing a sliding window from Next Door & Window do not stop there. 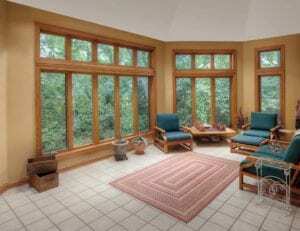 What Else Makes Our Sliding Window Options So Popular Among Downers Grove, IL, Homeowners? Durable – Our fiberglass, vinyl, and wooden frames are all designed to provide structural integrity and lasting performance against the elements. Low-maintenance – Our frames – in particular our vinyl and fiberglass offerings – require minimal maintenance and can be cleaned with a simple cleaner and cloth. Easy to operate – Our sliding windows have ergonomic handles and sleek hardware for easy operation with just the simple push of a finger. For more information about the sliding window replacements that we offer to homeowners in Downers Grove, IL, and the surrounding areas, contact Next Door & Window today. Homeowners looking to trade out their old casement windows for beautiful upgrades can confidently turn to Next Door & Window. Not only do we have some of the finest windows available in the industry, but we also perform flawless installations. 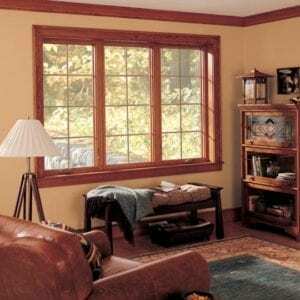 We offer vinyl, fiberglass, and wooden windows, which we source from trusted manufacturers. For vinyl and wood, our windows are assembled by Sunrise Windows, while our fiberglass windows are sourced through Marvin Windows and Infinity and Integrity from Marvin. No matter what type of frame you choose, you can expect casement replacements that are second to none in the area. Next Door & Window’s experienced installation crew can install your casement windows should you require this service. If you do, you can be confident that your windows will be installed to maximize functionality and energy efficiency. Your new casement windows will open and close with ease, allowing you to invite the outdoors inside on comfortable spring days. They will also be installed snuggly into place, eliminating drafty air during the summer and winter that could impact the energy efficiency of your home. Plus, we perform full-frame replacements, which is an extra step that not all window companies are willing to take. We remove and replace the entire frame to provide a gorgeous finish, while some companies perform only insert replacements. For more information about the casement windows that we offer to and install for homeowners throughout St. Charles, IL, and the surrounding areas, contact Next Door & Window today. Replacing a vinyl sliding window at your residence in the Aurora, Illinois, area has never been easier with Next Door & Window. We are your one-stop shop to find the finest vinyl sliding windows, all of which are assembled by name-brand manufacturer, Sunrise Windows. 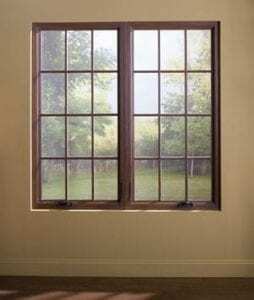 These beautiful replacement windows come equipped with features such as a narrow frame design for a maximum glass viewing area, lift-out sashes for easy cleaning, and dual brass rollers with stainless steel axles for years of functional performance. 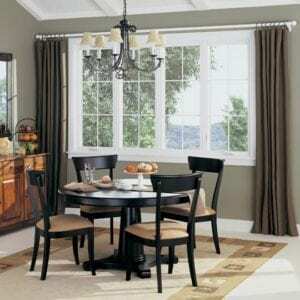 Plus, their durable vinyl frames are low-maintenance and can be wiped clean with a simple cleaner and cloth. They are truly the finest sliding replacement windows available, and when you combine them with the top-notch customer service and installations we offer, the results are unmatched. Pre-finishing services – Here at Next Door & Window, we have a pre-finishing facility that allows us to paint or stain your sliding windows before you receive them. Not only does this mean that your windows will seamlessly match the interior color of your home, but it also eliminates the need to hire an outside painting contractor, saving you time and money in the process. Full-frame replacements – If you require installation services, our expert team will remove your entire window – frame and all – and replace it with a gorgeous new window to create an impressive finish. Other companies perform only simple insert installations and cut corners, but not our factory trained and certified installers. Dedicated customer service – From the moment you first call us about your sliding window replacements, you will be greeted by a knowledgeable member of our team who will gladly answer any questions along the way and ensure you receive a positive customer experience. To learn more about the sliding window replacements that we offer to homeowners in Aurora, IL, and throughout the surrounding areas, contact Next Door & Window today. If the fiberglass windows at your house are outdated or damaged, you may be considering replacing them. When it comes to time to replace the windows at your home, Next Door & Window is the company to trust in the Aurora, Illinois, area. We have a wide selection of top-quality fiberglass windows, all of which we source from industry-leading manufacturers such as Marvin Windows, as well as Infinity and Integrity from Marvin. By sourcing our windows through these trusted manufacturers, we are able to ensure the impeccable quality of your fiberglass replacement windows. Not only are they elegant and appealing in appearance, but they also offer impressive durability and peak energy efficient performance. Thanks to features such as low-emissivity coated glass, your replacement windows will help to reduce energy transfer, thus lessening the burden on your HVAC system and helping to keep your home at a comfortable temperature throughout the year. Our wide variety of window styles means that you’ll be able to select the perfect style for your home in terms of appearance and functionality. Plus, we have a pre-finishing facility where we will paint or stain your windows to blend in seamlessly with the existing trim and interior color scheme at your residence. Next Door & Window’s fiberglass windows are also designed with sturdy frames that provide structural integrity and endure even the harshest elements to ensure you get the most out of your window investment. If you are interested in upgrading your house with windows from Next Door & Window, be sure to contact us today. One of our friendly representatives will gladly answer any questions and help you find the ideal replacement window solution for your home in the Aurora, IL, area. Vinyl replacement windows offer the ideal balance between durability and modern appeal. Plus, they are low-maintenance compared to other frame materials and typically can be cleaned with a simple cleaner and a cloth. Because of these reasons, vinyl replacement windows are a popular choice among homeowners in the Wheaton, Illinois, area. There are plenty of window companies offering vinyl replacements in the area, but only Next Door & Window offers name-brand windows, dedicated customer service, and a host of other key advantages. At Next Door & Window, it all starts with the impeccable quality of our vinyl windows, which are assembled and supplied to us by trusted name-brand manufacturer Sunrise Windows. Because we source our windows from this industry-leading company, we can attest to our windows’ performance and gorgeous appearance. Plus, they are available in a variety of styles, including double-hung, awning, and even bay so you’ll be sure to find what you’re looking for when you turn to us. Pre-finishing services – We have a pre-painting and pre-staining facility where we can perfectly match the existing color of the interior or trim work on your windows. This a rarity among window companies, but Next Door & Window is proud to offer this unique service. Professional installations – If you require window installation, we have an experienced team that performs full-frame replacements. This means we will remove your old windows – frame and all – and replace them with all new windows, providing you with a flawless finish. A friendly sales process – Our team will work closely with you to determine the best fit. We’ll look at your pain points, home architecture, and color schemes to find the perfect replacement solution for you and your home. To learn more about how we consistently set ourselves apart from other window companies in the Wheaton, IL, area, contact Next Door & Window today. If you are searching for a reliable dealer of replacement door products in the Arlington Heights, Illinois, area, look no further than the experts at Next Door & Window. We have an expansive selection of entry doors, storm doors, and patio doors, all of which are supplied to us by some of the most trusted and well-known manufacturers in the industry. This guarantees their top quality and ensures they are equipped with the latest features. We proudly source our replacement patio door products from manufacturers such as Marvin, Infinity from Marvin, and Integrity from Marvin, among others. You can select either sliding patio doors or in-swing patio doors to meet your preferences for functionality. We offer double and triple glass pane options, and our doors are available in a variety of interior and exterior finishes to ensure a seamless fit with the décor at your residence. 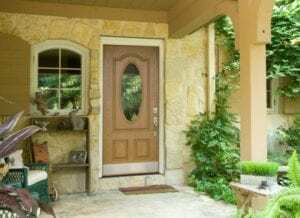 In addition to offering top-quality doors, we also offer door replacement services for those Arlington Heights, IL, homeowners who require this service. For more information, contact Next Door & Window today. Next Door & Window proudly offers three types of replacement windows – fiberglass, vinyl, and wood – to Arlington Heights, Illinois, residents. We do so to ensure that our customers have access to thousands of different window options, and our team strives to find each and every homeowner that one perfect fit for their residence. Whether you need vinyl awning windows, a fiberglass bay window, or a wooden double hung window, we are sure to have exactly what you’re looking for. Not only do we have all of these different frame materials and style options, we also have a pre-painting and pre-staining facility that allows us to add another layer of customization to each and every window we provide for Arlington Heights, IL, homeowners. We can take your replacement windows and paint and stain them to perfectly match the existing trim and paint scheme at your residence – both inside and out. This eliminates the need to hire a painting contractor, saving you time, money, and stress. For more information about the fiberglass, vinyl, and wood replacement windows that we supply to residents of Arlington Heights, IL, and the surrounding communities, contact Next Door & Window today. For fiberglass windows, homeowners in Orland Park, Illinois, area consistently turn to the window replacement specialists at Next Door & Window. A family tradition since 1947, we have helped countless residents in the region upgrade their homes with beautiful windows that are both energy efficient and built to last. Our fiberglass windows are assembled and supplied to us by top manufacturers in the industry, including Marvin Windows and Integrity and Infinity from Marvin, ensuring their impressive quality. Their durable fiberglass frames are designed to withstand the worst that Mother Nature has to offer, and their energy efficiency features are second to none – including low-emissivity glass coatings and gas fills. While many of our customers simply turn to us for our top-notch fiberglass windows, we also perform installations as well. Next Door & Window’s skilled installers have extensive experience completing installation projects throughout the Orland Park, IL, area. They know how to properly remove old windows and replace them with gorgeous upgrades that are installed snuggly into place to reduce air drafts and promote longevity. But, the benefits of turning to Next Door & Window don’t stop there. Why Turn to Next Door & Window for Replacement Fiberglass Windows? If you are interested in our fiberglass windows and would like to learn more about them, contact Next Door & Window today. Discover for yourself how we have become the window replacement company to count on in the Orland Park, IL, area. Generally speaking, there are three different types of frame materials to consider for replacement windows – vinyl, wood, and fiberglass. Each window offers a unique set of features and benefits. For example, fiberglass windows have unrivaled durability, while wooden windows offer an eye-catching, traditional appearance. Both of these options are the perfect choice for many St. Charles, Illinois, homeowners, but vinyl windows are also an appealing option for many. Next Door & Window proudly offers all three frame materials to homeowners in the area, and all of our windows are some of the finest available in the industry. Our vinyl windows, in particular, are popular among St. Charles, IL, homeowners due to the numerous benefits that they provide for our customers. They perfectly blend simplicity and affordability, while also maintaining a gorgeous, eye-catching appeal. What Are the Advantages of Vinyl Windows from Next Door & Window? Low maintenance – Our vinyl windows require little to no maintenance and can be cleaned easily with a simple cleaner and cloth. Customizable – You can customize features of your windows, such as the hardware and glass panes to match your design preferences. Plus, we have a pre-finishing facility where we can stain or paint your windows to match the exact color of the trim at your home. Energy efficient – Low-E coated glass panes and insulated frames help to maximize the energy efficiency of your windows – and your entire home. Protected – Many of our windows come with Lifetime Coverage, plus we add our own full five-year Next Door & Window labor warranty should you have our experts install your new windows. If you are interested in the vinyl windows that we proudly offer to homeowners in St. Charles, IL, and throughout the surrounding areas, contact Next Door & Window today. 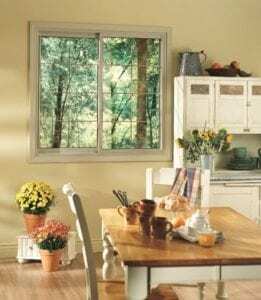 Casement windows typically have vinyl, fiberglass, or wooden frames, as well as hinges on either side of the frame, allowing them to be opened and closed with ease. 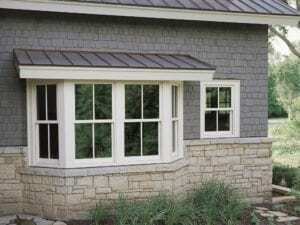 They are a popular windows style among Arlington Heights, Illinois, homeowners, and when residents turn to Next Door & Window for casement replacements, they receive this simple functionality and a whole lot more. At Next Door & Window, we source our fiberglass windows directly from name-brand manufacturers, such as Marvin Windows, as well as Infinity and Integrity by Marvin. We also offer vinyl windows, which are assembled and supplied to us by Sunrise Windows, meaning that, no matter what frame material you decide on, you can rest assured that you’re receiving some of the best windows in the industry. Our casement windows are also energy efficient, thanks to features such as low-emissivity coated glass and gas-filled window panes. These features can help to lessen the burden on your HVAC system, allowing it to more easily regulate indoor temperatures, even as temperatures fluctuate during the different seasons. But, Next Door & Window wants to offer you even more. We want to help you find the perfect windows for your home, not just in quality and performance, but also in appearance. Being able to modify these features allows you to perfectly blend your casement windows into the existing color schemes and designs at your home – both inside and out. Plus, we have a unique pre-painting and pre-finishing facility where we can match your windows to the exact color you desire before they are even delivered to your home. This eliminates the need to hire an outside painting contractor, saving you time and money in the process. 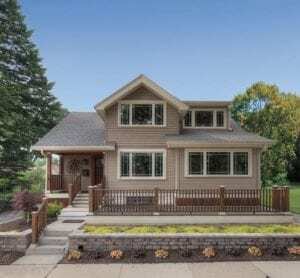 For more information about the customizable casement windows we offer and install for homeowners in the Arlington Heights, IL, area, contact Next Door & Window today. 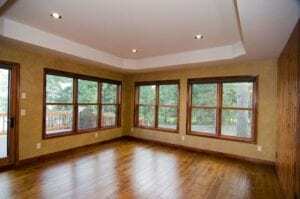 Are you searching for energy efficient windows to improve your home in the Wheaton, Illinois, area? If so, Next Door & Window is the company to turn to. We offer a wide variety of windows in a number of different styles, including slider, awning, bay, bow, and double hung, just to name a few. No matter what style of window you are searching for, we are bound to have it, and you can rest assured that your new windows are equipped with the latest energy efficient features. That’s because we source our windows from trusted, industry-leading manufacturers like Sunrise Windows and Marvin Windows, as well as Infinity and Integrity from Marvin. This not only ensures their impeccable quality, but it also means they have been manufactured with energy efficiency in mind. From low-E coated glass to durable fiberglass frames, our energy efficient windows are some of the finest available in the Wheaton, IL, area. What Makes Our Energy Efficient Windows Better? Low-emissivity coated glass – This unique feature helps to reduce heat loss and energy transfer through the glass. This helps your HVAC system more easily regulate indoor temperatures throughout the year, even in the depths of winter and the dog days of summer. Sturdy frames – Our windows can be installed firmly in place, and will retain their structural integrity and performance for many years. This reduces the amount of drafty air that is allowed to enter your home, thus boosting the energy efficiency of your residence. Gas fills – Many of our windows have glass panes that have been filled with argon or krypton gas, which slows the movement of both cool and warm air to improve thermal performance. To learn more about the energy efficient windows that we offer to homeowners in Wheaton, IL, and the surrounding areas, contact Next Door & Window today. There are plenty of window companies to choose from in the St. Charles, Illinois, area, but only one offers an unmatched combination of name-brand windows and exceptional customer service – Next Door & Window. We have proudly served homeowners in the area since 1947, providing them with quality window replacements that not only improve the functionality of their homes, but also beautify them as well. Over the years, we have earned a reputation as the window company that homeowners can turn to for replacement windows, and even installation services, when required. By offering both windows and installation services, we are able to better serve our customers and meet all of their needs. But this is just one of the ways we stand out from other competing window companies. Pre-finishing services – Unlike other window companies, we have a pre-painting and pre-staining facility where we can perfectly match the color of your window to the existing scheme at your home. An experienced staff – Our seasoned sales representatives, project managers, and installers are all highly trained to help you tailor your project with the proper windows to match your style, home, and budget. Full-frame replacements – If you require installation services, you can rest assured that you are in good hands. That’s because our team performs full-frame replacements, meaning we’ll remove your entire window and replace it with a gorgeous upgrade. We’ll even dispose of your old windows and remove and rehang window treatments upon request. To find out more of the ways in which we separate ourselves from other window companies in the greater St. Charles, IL, area, contact Next Door & Window today. Is a sliding window at your Wheaton, Illinois, home damaged or outdated? Do you need to find a window company that has gorgeous replacements that will boost the appeal of your home and improve energy efficiency? Next Door & Window has got you covered. Our sliding windows – available in wooden, vinyl, or fiberglass frames – function easily, look elegant, and are equipped with the latest energy efficiency features. On top of all that, working with Next Door & Window affords you a number of benefits that you simply would not receive when working with another sliding window replacement company. These advantages include impressive warranties and flawless installations, if required. These benefits, combined with our top-quality windows, have helped us earn a reputation as the company to trust for replacement windows in the Wheaton, IL, area. Smooth tracks – Our sliding windows glide effortlessly across a track, allowing them to be opened and closed with the simple push of a finger. Low-E coated glass – This feature helps to reduce energy transfer, which can lessen the burden on your HVAC system and improve the energy efficiency of your home. Durable frames – Regardless of the sliding window frame material you select, you can count on outstanding longevity. 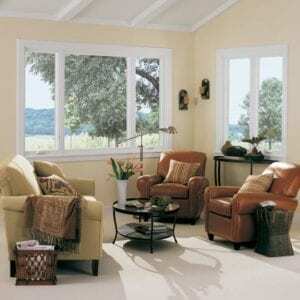 Vinyl frames offer low-maintenance, fiberglass windows are sturdy, and wooden frames have an elegant appearance. Customizable options – We have a number of different hardware options, decorative glass choices, and other options that can be customized to meet your design preferences. For more information about the sliding window options that we make available to homeowners in Wheaton, IL, and the surrounding areas, contact Next Door & Window today. 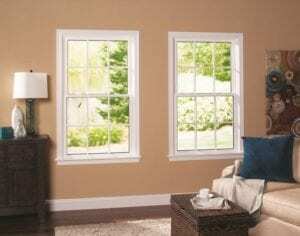 Are you looking for top-quality vinyl windows from a trusted dealer in the Arlington Heights, Illinois, area? If so, look no further than the replacement window experts at Next Door & Window. We have an expansive selection of vinyl window replacements, all of which are manufactured by trusted industry leader, Sunrise Windows. We are proud to source our vinyl windows from these trusted window companies, as it ensures our customers receive only the finest energy efficient windows available on the market. Partnering with Next Door & Window allows you access to a large number of these windows, which we have available in a variety of styles, including double hung, casement, awning, bay, and bow, among others. They are energy efficient – Thanks to low-emissivity glass, our windows help to keep heat inside your home when it’s cold outside and cool air locked in during the dog days of summer. This helps to improve the energy efficiency of your home. They are customizable – We can pre-paint or pre-stain your vinyl windows to perfectly match the color scheme at your home. This is a unique service in the replacement windows industry. They are low-maintenance – Windows with vinyl frames require less maintenance than some other materials, making them a great option if you want to put minimal effort into keeping your new windows looking like-new. If you are interested in our vinyl windows or any of the other window products that we supply for homeowners in the Arlington Heights, IL, area, contact Next Door & Window today. Next Door & Window offers replacement casement windows to homeowners in Orland Park, Illinois, and throughout the surrounding areas. We source our windows from trusted manufacturers such as Sunrise Windows and Marvin Windows, as well as Infinity and Integrity from Marvin. This not only ensures our windows’ impeccable quality, but it also means that they are equipped with modern features that help to separate them from other available windows. Many of our window styles are available in several different frame materials, including vinyl, wood, and fiberglass. This allows you to find the perfect balance between price, appearance, and maintenance requirements for your casement windows. As an added bonus, we even have a pre-finishing facility where we can pre-paint or pre-stain your windows before you receive them. We can perfectly blend the color of your windows to fit in with the color scheme at your Orland Park, IL, home, eliminating the need for a painting contractor and saving you time and money. We can also perform installation services if you require them. In fact, our trained and certified installers perform full-frame replacements. This means we take out the entire window – frame and all – and replace it with a brand-new window for a fresh, updated appearance. For more information about our casement windows, contact us today. Discover for yourself how Next Door & Window has earned a reputation as the window replacement company to count on among homeowners in Orland Park, IL. Among window companies in the Aurora, Illinois, area, few can match the combination of top-quality products and services offered by Next Door & Window. Partnering with us means that you’ll have access to some of the finest, most energy efficient windows available on today’s market. Plus, we offer almost every window style imaginable, including casement, awning, double hung, and slider, just to name a few. Our team of experts works endlessly to provide a customer-centric experience for each of the homeowners we serve. We will listen to your needs, assess them, and then come up with the perfect window replacement solution for you and your residence. Few window companies can match our comprehensive, customer-centric approach. Impressive windows – Available in wood, vinyl, or fiberglass frames, our windows are manufactured by recognizable names such as Sunrise Windows and Marvin Windows, as well as Infinity and Integrity from Marvin. This ensures their impeccable quality and functionality. Pre-finishing facility – Unlike some window companies, we have a pre-painting and pre-staining facility where we can paint or stain your windows to perfectly match the existing color scheme at your home, eliminating the need for an outside painting contractor. Skilled installations – If you need us to perform the window replacement, we can do that as well. Our factory-trained and certified installers perform full-frame replacements to ensure that your new windows look and function flawlessly. To learn more about how we separate ourselves from other window companies in the Aurora, IL, area, contact Next Door & Window today. One of our friendly representatives will gladly answer any questions you may have about our windows or services. When it comes time to replace the windows at your Downers Grove, Illinois, home, there are many different factors to consider. Do you want to keep the same window style? What type of frame do you want – wooden, vinyl, fiberglass or another material? What about the color and finish? Is the cost in line with your budget? These aspects are important to consider, but one factor may loom larger than these in today’s world – Are the windows energy efficient? With an increased importance on going “green”, many homeowners seek energy efficient windows when it comes time for a window replacement. And, when Downers Grove, IL, homeowners decide to upgrade to energy efficient windows, Next Door & Window is the unquestioned company to turn to. We have served the area since 1947, and we offer an expansive line of windows that are equipped with the latest energy efficiency features. And, we have a pre-painting and pre-staining facility that allows us to deliver a window that already perfectly matches the color scheme of your home – both inside and out. This saves you the stress of having to hire an outside painting contractor to complete the work. To learn more about the energy efficient windows that we offer to homeowners in Downers Grove, IL, and the surrounding areas, contact Next Door & Window today. For energy efficient windows, Burr Ridge, Illinois, homeowners time and again turn to the window specialists at Next Door & Window. We have a robust offering of top-quality windows from trusted manufacturers like Sunrise Windows and Marvin Windows, as well as Infinity® and Integrity® from Marvin, among others. Our top-quality fiberglass, vinyl, and wooden windows come equipped with modern features such as low-emissivity coated glass that help to improve the energy efficiency of our customers’ homes. Regardless of the window style you need, we are almost assuredly going to have what you’re looking for. Plus, we have a pre-finishing facility that allows us to paint or stain your windows before you receive them. We can take a piece of your trim and perfectly match your new windows to the existing color to ensure a seamless and flawless fit in your home. Also, we offer installation services if you require. Our installers are skilled and experienced and will be sure to install your new windows snuggly into place for a long-lasting finish. If you are interested in upgrading to energy efficient windows at your Burr Ridge, IL, residence, contact Next Door & Window today for more information. Energy efficient windows from Next Door & Window are a popular choice among homeowners living in the greater Naperville, Illinois, area. There are many reasons why, but it all truly begins with the quality of our windows. We source them directly from trusted, industry-leading manufacturers like Sunrise Windows and Marvin Windows, as well as Infinity® and Integrity® from Marvin. This ensures their impeccable quality and means they are equipped with modern energy-efficient features. Low-E coated glass – Our windows have glass panes that are coated in a low-emissivity glazing that reduces energy transfer. This allows your home to maintain a comfortable temperature throughout the year – even in the dog days of summer and the depths of winter. 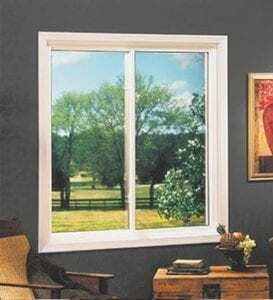 Durable frames – We offer windows with sturdy vinyl or fiberglass frames. They hold the window firmly in place and help to reduce air drafts that may enter your home – especially when you count on our window experts to perform the installation. Protective warranties – Our windows are backed by lifetime coverage from our manufacturers, as well as five-year workmanship warranties when Next Door & Window performs the installation. This ensures that your windows are installed properly and you can enjoy all the energy efficiency advantages that come with them. For more information about the energy-efficient windows that we install for homeowners throughout Naperville, IL, and the surrounding areas, contact Next Door & Window today. Next Door & Window proudly offers vinyl windows to residents in Downers Grove, Illinois, and the surrounding areas. We source our windows through only trusted manufacturers, ensuring that quality is never a concern when you work with us. And, our products are designed to offer the ideal combination of beauty, functionality, and energy efficiency. We are able to apply the color and finish to your vinyl windows and their trim work at our pre-finishing facility. We can perfectly match the trim of your windows before they are even installed. 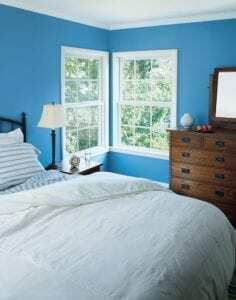 You will receive your new windows already painted or stained, eliminating the need to hire an outside contractor. This not only saves you time, but money as well. For more information about the vinyl windows that we install for homeowners in Downers Grove, IL, contact Next Door & Window today. One of our friendly representatives will gladly answer any questions you may have. Casement windows offer the ideal combination of elegant beauty and simple functionality. When it comes time to replace this unique window style, residents of Wheaton, Illinois, consistently turn to Next Door & Window. We offer some of the finest casement replacements in the area, and have done so for many years. All of our casement windows are available in a number of different frame materials, including fiberglass, vinyl, and wood. Regardless of the material you require for your home in the Wheaton, IL, area, you can rest assured that your new windows are top-notch. That’s because they are sourced from well-known window manufacturers such as Sunrise Windows and Marvin Windows, as well as Infinity and Integrity from Marvin. So, when you work with us, quality is never a concern. This allows us to supply you with casement windows that fit seamlessly with the existing décor of your home. For an even more perfect fit, we have a pre-finishing facility that allows us to supply you with windows that arrive at your doorstep already painted or stained to the exact color you require. This eliminates the need to hire an outside painting contractor, saving you time and preventing additional stress. Plus, if you require our installation services, you can expect to benefit from perks such as full-frame replacements and timely installations. We’ll even dispose of your old windows, something not guaranteed with other window companies. To learn more about the casement windows that we offer to customers living in Wheaton, IL, and throughout the surrounding areas, contact Next Door & Window today. One of our friendly representatives will gladly answer any questions or provide you with additional product information. Do you have a bay window that is old or damaged at your home in St. Charles, Illinois? If so, you may want to consider replacing it with a window supplied by the trusted window specialists in the region – Next Door & Window. We offer some of the finest bay windows, all of which are assembled and supplied to us by industry-leading manufacturers such as Sunrise Windows and Marvin Windows, as well as Infinity® and Integrity® from Marvin. These top-quality bay window offerings afford all of the normal benefits of this elegant window style such as expansive views and optimal natural light. Plus, they offer boosted energy efficiency thanks to Low-E-coated glass and insulated frames. These features help your home in the St. Charles, IL, more easily regulate indoor temperatures, even in the extremes of summer and winter. Pre-finishing services – We have a pre-painting and pre-staining facility that allows us to perfectly match your replacement bay window and trim to the existing color scheme of your home. There’s no need to hire an outside painting contractor, which may save you both time and money. Full-frame replacements – If you decide to opt for our installation services, you can expect a full-frame replacement, where our team will remove your window – frame and all – and replace it with an entirely new window for a flawless finish. Exceptional customer service – Some of the perks of working with Next Door & Window include free and fair estimates, as well as friendly communication from the moment you first call us. If you would like to replace the bay window at your home in the St. Charles, IL, area, contact Next Door & Window today for more information. When it comes to door installation services and top-quality exterior doors, Next Door & Window is the trusted company in the Orland Park, Illinois, area. A family tradition since 1947, we have helped homeowners in the region upgrade their residences with gorgeous, durable doors that are built to last. We proudly offer entry doors, patio doors, and storm doors, all of which are assembled and supplied to us by industry-leading manufacturers such as ProVia®, Albany Door, Infinity® from Marvin, and Marvin Windows, among others. Endless possibilities – Our doors have a number of customizable features, including screen options, stain colors, decorative glass options, and hardware choices to ensure you receive the perfect door. Our door installation team will be there throughout the process to make sure all your needs are not only met – but exceeded. Exceptional customer service – Some of the benefits of our top-notch customer service include prompt, friendly communication and no-pressure sales tactics. We want what is best for our customers and will go above and beyond to deliver the positive experience they deserve. Protective warranties – Many of our products come with lifetime coverage, while we also add a full five-year Next Door & Window labor warranty whenever we complete a door installation project. To learn more about our exterior doors or the door installation services we offer to homeowners throughout Orland Park, IL, and the surrounding areas, contact Next Door & Window today. 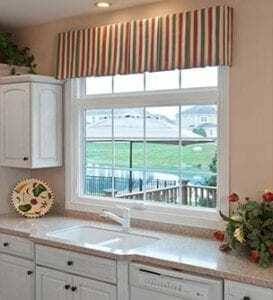 For replacement vinyl windows, Orland Park, Illinois, homeowners turn time and again to Next Door & Window. A family tradition since 1947, we have helped countless residents throughout the area improve the appearance, functionality, and energy efficiency of their homes with gorgeous windows from industry-leading manufacturers. Our windows are assembled and supplied to us by leading manufacturers like Sunrise windows, which means that quality is never a concern when you turn to us. Our top-quality vinyl windows have durable frames that are designed to be durable and stay strong against the Orland Park, IL, elements. This frame helps to ensure the window is held snuggly in place, preventing air drafts, and thereby helping to improve the energy efficiency of your home. Plus, the glass panes are coated with a low-emissivity glazing that helps to improve thermal performance and reduce energy transfer. This lessens the burden placed on your HVAC unit, which allows your system to run more efficiently. No matter what window style you require, you can rest assured that we have what you’re looking for. 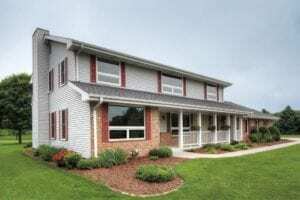 We even offer installation services for homeowners living in the Orland Park, IL, area. To learn more about our impressive vinyl windows or full-frame installations, contact Next Door & Window today. For exterior doors, Aurora, Illinois residents consistently turn to Next Door & Window. We proudly offer a combination of top-quality doors and exceptional customer service that is truly unrivaled in the industry. It all starts with our doors, which are assembled and supplied to us by industry-leading manufacturers such as ProVia, Albany Door, Marvin, and Infinity from Marvin. Customizable, you can select different screens, hardware, stain colors, and decorative glass options, allowing you to find the perfect exterior doors for your Aurora, IL, home. When you turn to Next Door & Window for a new entry door or patio door, you’ll also be greeted with friendly customer service. Our team is committed to delivering the results you desire, and we’ll go above and beyond to deliver your complete satisfaction – a commitment that starts from the moment you call us to years after your project has been completed. For more information about the exterior doors that we install for homeowners in Aurora, IL, and the surrounding communities, contact Next Door & Window today. We look forward to helping you make the home of your dreams a reality. If you are searching for replacement fiberglass windows in the Wheaton, Illinois, area, look no further than Next Door & Window. We boast a full line of durable and attractive windows that are available in a variety of styles, including double hung, casement, picture, bay, and bow, among others. No matter what type of window style you’re looking for, you can count on us to help you find the perfect window solution for your home. While many homeowners simply purchase their fiberglass windows from us, we also offer installation services if you require this service. We have a full team of factory-trained and -certified installers who are ready to flawlessly install your new windows. And, unlike other competing window companies, we perform full-frame replacements. This means that we will remove your entire window – frame and all – and replace it with an entirely new frame and trim to give your home a fresh, updated look. To learn more about the fiberglass windows that we install for homeowners in Wheaton, IL, and the surrounding areas, contact Next Door & Window today. One of our friendly representatives will gladly answer any questions you may have. When it comes time for a door replacement at your residence in the St. Charles, Illinois, area, consider teaming up with Next Door & Window. We have a full line of impressive doors, all of which are manufactured by industry leaders such as ProVia, Marvin, and Infinity by Marvin, among others. These top-quality doors are some of the finest in the industry and come with seemingly endless benefits. Energy efficient – Thanks to features like state-of-the-art insulation channels and perimeter seals, your replacement door will help to eliminate drafty air, which allows your HVAC system to more easily regulate indoor temperatures throughout the year. Customizable – You will be able to select a screen, stain color, hardware, and decorative glass to ensure you receive a door that meets your design preferences and boosts the appeal of your home. Secure – Available in materials such as wood, fiberglass, and steel, your doors will be sturdy and protect your residence against potential intruders. Protected – Many of our products come backed by impressive manufacturer warranties that provide you with peace of mind about your investment. Next Door & Window also offers installation services. We have a team of certified installers that can successfully remove your existing door and install your replacement door soundly into place. Our team will perform a timely installation, keep tidy work places, and will go above and beyond to ensure your satisfaction with their work – which is backed by a five-year labor warranty. For more information about the replacement door options that we offer to homeowners in St. Charles, IL, and the surrounding areas, contact Next Door & Window today. One of our knowledgeable representatives will gladly answer any questions you may have. Few window styles can match the elegance of a bay window. Not only can they make rooms appear more spacious, but they also significantly improve the appeal of any residence by inviting optimal natural light into the home. Plus, they can even increase the value of residences in the Downers Grove, Illinois, area. And, when you turn to Next Door & Window for a replacement bay window, you can expect even more benefits. Here at Next Door & Window, we offer more than just top-quality bay window replacements. You can also take advantage of our pre-finishing services, which allow us to paint or stain your window before it arrives at your Downers Grove, IL, home. This not only allows for a perfect match with your interior and exterior color schemes, but it also eliminates the need for an outside painting contractor, saving you time and money in the process. 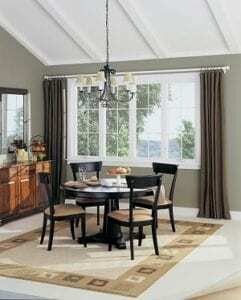 Low-maintenance – Durable, low-maintenance fiberglass and vinyl frames allow for simple cleaning. Customizable – Available with various hardware choices and glass options, our windows can be customized to meet your preferences. Easily installed – We have factory-trained and -certified installers that can perform full-frame replacements and installations if you require this service. We’ll take out the existing trim and frame and replace it with all brand-new materials, ensuring an attractive and flawless finish. We’re fully committed to providing our customers with top-quality windows and excellent customer service. We offer prompt, friendly communication and will go above and beyond to ensure your complete satisfaction. If you do utilize our installation services, you can count on a tidy workplace, and we will even dispose of your old windows for you. If you are interested in replacing the bay window at your Downers Grove, IL, residence, contact Next Door & Window today for more information. Replacing the bay window at your home in Orland Park, Illinois, is a quick and easy way to boost curb appeal and improve energy efficiency. Plus, when you have it installed by the window replacement specialists at Next Door & Window, you can count on a sound installation and years of performance. A family tradition since 1947, we combine the finest windows with skilled craftsmanship to deliver you a window replacement that not only meets your needs – but exceeds them. Regardless of the style you decide on, you can expect a flawless new look thanks to our pre-painting and pre-staining services. We can provide you with windows that are already painted or stained to match the exact color you desire and ensure a seamless integration with your home’s color scheme. This also eliminates the need to hire an outside painting contractor, which can save you time and money. 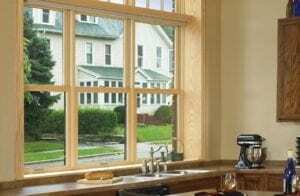 To learn more about the bay window options we offer to and install for homeowners in the Orland Park, IL, area, contact Next Door & Window today. When it comes to upgrading your home, replacement windows are a great way to boost both the appeal and value of your Aurora, Illinois, residence. Not only can they maximize the curb appeal of your home, new windows may also increase energy efficiency. With Next Door & Window, you can enjoy both of these great benefits – and more. Our home windows are assembled and supplied by industry-leading manufacturers such as Sunrise Windows and Marvin Windows, as well as Integrity and Infinity from Marvin. These top-quality windows are equipped with features such as low-emissivity coated glass that help to reduce energy transfer, thus improving the energy efficiency of your Aurora, IL, home. Plus, when your home windows are installed by our experienced team, you can count on even more energy efficiency thanks to our masterful installation techniques that eliminate drafty air. To learn more about the home windows that we offer and install for homeowners throughout Aurora, IL, and all the surrounding areas, contact Next Door & Window today. One of our friendly representatives will happily answer any questions you may have. Few styles can match the simplicity and modern appearance offered by a double hung window. Built with an upper and lower sash, double hung replacement windows afford Orland Park, Illinois, homeowners simple operation and easy cleaning. They can be opened and closed to invite fresh air into the home, or tilted inward to allow for cleaning without ever having to step outside. Anyone in the area looking for double hung windows and the numerous benefits they offer should turn to Next Door & Window. Impressive – Our double hung windows – and all other window offerings – are assembled and supplied by some of the top names in the window replacement industry. We receive our windows from the likes of Sunrise Windows and Marvin Windows, as well as Infinity and Integrity by Marvin. This ensures their high quality and performance. Energy efficient – Thanks to features such as low-emissivity coated glass and tightly sealed frames, our windows keep out drafty air and reduce energy transfer, which lessens the burden on your HVAC system because it can more easily regulate indoor temperatures. Customizable – At Next Door & Window, we can pre-paint or pre-stain your double hung windows to match the existing décor of your residence. That way they are already installed with the desired color, eliminating the need for a painting contractor. Plus, we have various hardware selections, screen options, and decorative glass choices, allowing you to build the perfect window for your home. For double hung window replacements or installation services in the Orland Park, IL, area, contact Next Door & Window today. Adding a bay window at your home in the Wheaton, Illinois, area is a great way to significantly improve the appearance of your residence. Not only do bay windows make rooms appear more elegant and spacious, but they also offer expansive views and invite natural light into the home. Simply put, few window styles can match the eye-catching appeal of bay windows. And, if you already have bay window at your home that needs updating, Next Door & Window has got you covered. At Next Door & Window, we source all of our windows from top manufacturers in the replacement window industry, such as Sunrise Windows and Marvin Windows, as well as Integrity and Infinity by Marvin. 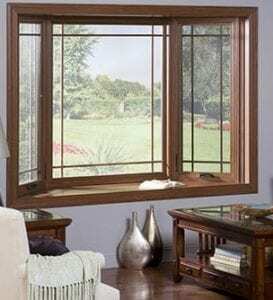 Our bay window options and other window offerings come equipped with features such as low-emissivity coated glass to improve energy efficiency and durable frames to withstand the Wheaton, IL, elements and provide years of performance. If you would like to add or replace a bay window at your home in the Wheaton, IL, area, contact Next Door & Window today for more information. 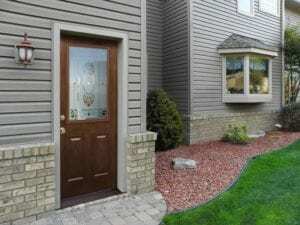 Replacing the entry door at your residence in the Orland Park, Illinois, area can benefit you in a number of ways. For one, a new door can beautify the entrance to your home and boost curb appeal, making your home the envy of the neighborhood. Replacement entry doors can also boost security at your home, thanks to durable, upgraded locking systems and their thick constructions. Plus, when you turn to Next Door & Window for a new entry door, you will be able to enjoy even more advantages. Regardless of the entry door material you choose, you can count on years of durability, performance, and energy efficiency. Thanks to features such as state-of-the-art insulation channels and perimeter seals, your door will help to protect your home against the elements and lessen the burden on your HVAC system, thus improving energy efficiency. Furthermore, our expert team can customize your door during installation to meet your preferences for appearance and functionality. You can select from a range of screen options, stain colors, and hardware choices, among other features, to ensure a flawless finish that exceeds your expectations. 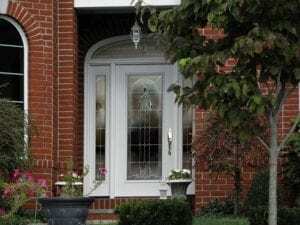 If you are looking to upgrade the entry door at your residence in the Orland Park, IL, area, contact Next Door & Window today for more information. A family tradition since 1947, Next Door & Window has provided window installation services and replacement windows to St. Charles, Illinois, residents for many years. We operate as both a dealer and an installer, meaning that you can purchase your new windows from us, and our experienced crew can install them at your home if needed. Or, if you already have your new windows, our crews will be happy to install them for you. Full-frame replacements – Unlike other window installation companies who only replace the window pane itself, we perform full-frame window replacements. This means that we remove the entire window – frame and all – and replace it with a gorgeous upgrade. Pre-finishing – We offer pre-painting and pre-staining services where we take a piece of your existing trim and formulate a color or stain hue that matches it perfectly. Your windows will be delivered and installed already finished, so you don’t have to worry about hiring an outside painting contractor. Warranty protection – When you choose our experienced team to perform your window installation, you can rest assured knowing that your purchase is protected by a five-year workmanship warranty. If you are interested in our replacement windows or need window installation services for your residence in St. Charles, IL, contact Next Door & Window today for more information. We have thousands of window options, and we look forward to helping you find the one perfect fit. Are you searching for fiberglass windows to help improve the energy efficiency of your home in the Downers Grove, Illinois, area? If so, turn to the window replacement specialists at Next Door & Window. We boast a full line of windows, all of which are supplied to us by trusted manufacturers such as Sunrise Windows and Marvin Windows, as well as Infinity and Integrity by Marvin. And when these top-quality windows are installed by our skilled crews, the results speak for themselves. 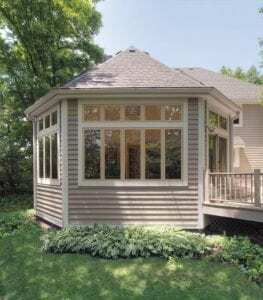 When you turn to Next Door & Window for replacement fiberglass windows, you are likely to see improved energy efficiency at your home in the Downers Grove, IL, area. That’s because our installation crews install the windows snugly into place, using time-tested techniques. They measure each window opening twice to ensure a flawless fit, and they inspect the area after installation to make sure everything is sealed tightly into place without space for air drafts. All of the features of our fiberglass windows are designed to help lessen the burden on your HVAC system over the course of the year. By eliminating drafts and energy transfer, our windows can help your HVAC better regulate indoor temperatures and keep your home comfy, no matter the season. To learn more about the fiberglass windows that we install for homeowners throughout the Downers Grove, IL, area, contact Next Door & Window today. 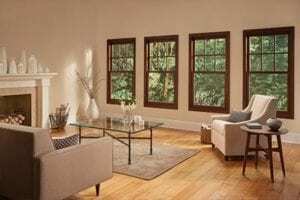 When comparing window companies in the Naperville, Illinois, area, there are a few things that you may want to consider. For one, does the company offer top-quality replacement windows from trusted manufacturers? Do they offer exceptional customer service and skillful installations, if needed? Are they trusted and respected in area? With Next Door & Window, the simple answer to all of these questions is “yes”. In addition to the benefits of our replacement windows, we also offer services that other window companies simply cannot compete with. Next Door & Window has a pre-painting and pre-staining facility where we can custom finish your windows to match your home’s exterior trim color, as well as interior color schemes. To learn more about how we set ourselves apart from other window companies in the Naperville, IL, area, contact Next Door & Window today. For exterior doors, residents of Downers Grove, Illinois, and the surrounding areas have turned to Next Door & Window for decades. A family tradition since 1947, we have proudly offered and installed entry doors and patio doors for homeowners across the region looking to boost the curb appeal and security of their residences. Our doors are durable and available in a number of different materials, including wood, fiberglass, and steel, giving our customers a variety of options to choose from. Turning to Next Door & Window ensures that your new exterior doors will be of the finest quality. You can also rest assured that your purchase will be protected, as we offer both manufacturer warranties, as well as a five-year labor warranty should you choose to have our installers install your new door. The quality of our exterior doors, combined with or impressive warranties and reliable installations, has helped us earn an A+ rating from the Better Business Bureau, an honor we are proud to have received and continue to maintain. We feel this distinction helps to exemplify the dedication we have to delivering the results our customers desire. We go above and beyond, offering free estimates, keeping tidy work spaces, and employing factory trained and certified installers to ensure we meet your needs and deliver your complete satisfaction. For more information about the exterior doors that we install for homeowners in Downers Grove, IL, and the surrounding areas, contact Next Door & Window today. One of our friendly and knowledgeable representatives will gladly answer any questions and help schedule a cost-free consultation. If you are looking to replace the entry door at your home in the greater St. Charles, Illinois, area, Next Door & Window has got you covered. We have a full line of durable exterior doors that are available in virtually any material imaginable, including wood, fiberglass, and steel doors to meet your demands for appearance and security. No matter what type of material you desire, you can count on the high quality of our doors. That’s because we source our doors from trusted manufacturers such as ProVia, ThermaTru, Albany Door, Infinity by Marvin, and Marvin, among others. Improved energy efficiency – Our doors feature insulation channels and perimeter seals, which help to keep drafty air out and lessen the burden on your HVAC system to maintain comfortable indoor temperatures. Modifiable options – Purchasing an entry door from Next Door & Window means that you will have control over some of the aesthetic features of your door. We have a variety of hardware choices, decorative glass offerings, and gorgeous stain colors to ensure a perfect match with your home – inside and out. Manufacturer warranties – Whichever entry door you decide on, you can rest assured that your purchase is protected by manufacturer warranties, as well as a five-year labor warranty for all of the work we perform. If you would like to upgrade or replace the entry door at your home in St. Charles, IL, or a surrounding area, contact Next Door & Window today for more information. Finding a company that offers replacement windows and window installation services can be a tedious task for homeowners in the Orland Park, Illinois, area. With so many options to choose from, it can be difficult to know exactly what to look for in a particular company. Do they offer top-quality replacement windows from trusted manufacturers? Are their installers factory trained and certified to perform window replacements? Well, Next Door & Window has the answer to all of these questions and more. If you would like to learn more about our replacement windows or the window installation services we provide for homeowners in Orland Park, IL, and the surrounding communities, contact Next Door & Window today. Are you looking for dependable window installation services in the greater Wheaton, Illinois, area? If so, end your search with the replacement window specialists at Next Door & Window. For many years, we have provided homeowners throughout the region with top-notch window replacements, skilled installations, and exceptional customer service. This combination has helped us earn an A+ rating from the Better Business Bureau, an honor we are proud to have received and continue to maintain. Free estimates – Our estimates and in-home consultations are free, without any surprise costs or add-ons tacked on at the end of the window installation project. Pre-painting and pre-staining – Pre-painting and pre-staining are services unique to Next Door & Window. We have a facility where we can custom paint your window – inside and out – to match the exterior trim and indoor color scheme of your home. This saves you the hassle of working with a painting contractor after your windows are installed. Full-frame replacements – Our installers perform full-frame installations, where we remove the entire window – frame and trim – and provide you with a brand-new window that is appealing and long-lasting. Quality assurance – After we complete each window installation, our crews perform a quality assurance check that provides you with peace of mind that your new windows have been properly installed to look great and function properly for many years to come. If you are interested in our replacement windows or the window installation services that we provide for homeowners living in the Wheaton, IL, area, contact Next Door & Window today for more information. For top-quality replacement windows and reliable window installation services, homeowners in the Aurora, Illinois, area, consistently turn to Next Door & Window. We’ve helped countless residents throughout the region boost the curb appeal and comfort of their homes by providing elegant, energy-efficient windows from some of the most trusted manufacturers in the industry – Sunrise Windows, Infinity by Marvin, and Marvin Windows. Homeowners can rest assured that quality is never a concern when they turn to us for new windows. Whether you require window installation services or simply want to purchase new windows, Next Door & Window has what you’re looking for. To help set ourselves apart from other window companies in the area, we also offer pre-painting and pre-staining service that ensures your new windows perfectly match the existing interior paint scheme and exterior trim work on your home. We’ll take a piece of the trim and formulate a matched color that meets your expectations and design preferences. Our windows and window installation services – along with our exceptional customer service – have helped us earn an A+ rating with the Better Business Bureau. This helps to exemplify the dedication we have for delivering the results our customers desire. For more information about the windows and window installation services that we offer to homeowners in the Aurora, IL, area, contact Next Door & Window today. When it comes time for a window replacement at your home in St. Charles, Illinois, consider the professionals at Next Door & Window. Our award-winning combination of top-notch products and expert installations has helped us earn a reputation as the window specialists to trust in the region. Next Door & Window proudly offers window replacement products that are available in virtually any material, including fiberglass, wood, and vinyl, each of which offers unique benefits. For example, wood windows offer a more traditional appearance for your St. Charles, IL, home, while fiberglass windows provide boosted durability. Regardless of the material you decide on for your window replacement, you can rest easy knowing that your windows are of the finest quality. That is because we source our windows from trusted manufacturers such as Sunrise Windows, Marvin Windows, and Infinity from Marvin. Full-frame replacements – Unlike other window replacement companies that perform simple insert installations, we offer full-frame replacements. This means that we will remove the entire frame and trim and replace it with a new one to boost appeal and durability. Pre-finishing services – We can paint or stain your windows at our facility before they are installed. This eliminates the need for an outside painting company and saves you from having to deal with the odors and messes associated with painting. Protective warranties – Our labor is backed by a five-year warranty to help safeguard your purchase. Excellent customer service – Next Door & Window provides friendly and timely communication and even offers free consultations and estimates. For more information about the window replacement products and services we offer to homeowners in St. Charles, IL, and the surrounding communities, contact Next Door & Window today. Are you looking for a trustworthy door installation company to provide a new entry door, patio door, or storm door for your residence in the greater Aurora, Illinois, area? If so, end your search with the home improvement specialists at Next Door & Window. Over the years, we have installed countless doors for homeowners in the region, completing each door installation with a level of craftsmanship that is difficult to find elsewhere in the industry. In fact, our technicians have been factory-trained and -certified to complete flawless installations, checking for accuracy and exactness several times during the process to ensure a perfect fit. All of these factors have helped us earn an A+ rating from the Better Business Bureau, an honor which we are proud to have received. We have earned our reputation as the trusted source for top-quality doors and would like to show you why. We have thousands of options, but our team will do everything to ensure you have the one perfect fit for your home. To learn more about Next Door & Window and the door installation services we offer to homeowners in and around the Aurora, IL, area, contact us today. Next Door & Window proudly offers dependable door installation services for homeowners in and around the Naperville, Illinois, area. A family tradition since 1947, we have earned our reputation as the home improvement company to trust thanks to our ability to consistently deliver the results our customers desire. In fact, we have been awarded an A+ rating from the Better Business Bureau, which helps to exemplify our commitment to excellence. Regardless of the type of exterior door you require for your residence in the Naperville, IL, area, you can rest assured that our door installation team will install your new products to maximize appeal, security, and energy efficiency. Plus, we even offer full-frame installations, where we remove your entire door frame and replace it with a durable upgrade that will help to increase the longevity of your doors. Choosing Next Door & Window to perform your door installation also affords you customizable control over your new purchase. We offer doors in virtually any material, including wood, fiberglass, and steel to help meet your preferences for appearance and security. 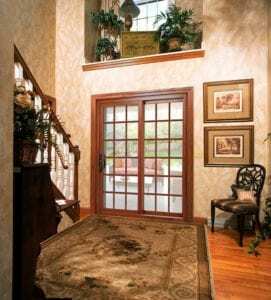 You can also modify your door’s screen, stain color, and hardware to ensure you receive the perfect door for your home. At Next Door & Window, we have thousands of options, offer the finest products, and have a team of experts ready to help you find the one perfect fit for your home. If you are interested in our exterior doors or the door installation services we offer to Naperville, IL, residents, contact Next Door & Window today for more information. Homeowners looking to undergo a window replacement in the Arlington Heights, Illinois, area, should consider getting their upgrades from the window specialists at Next Door & Window. We offer a number of different window styles, all of which are supplied by top manufacturers such as Sunrise Windows, Infinity from Marvin, and Marvin Windows. Fiberglass – Fiberglass replacement windows from Infinity from Marvin are built with a durable Ultrex® fiberglass frame that offers superior longevity and durability. Vinyl – Vinyl window replacement products from Next Door & Window are low maintenance and offer the ideal blend of appeal, functionality, and affordability. Wood – Wooden windows offer a traditional appearance that is sure to boost the appearance of any room in your house. If you need a team of trusted professionals to perform the window replacement at your residence, Next Door & Window has got you covered there as well. Our installers are factory-trained and -certified to complete flawless installations. Plus, we have a pre-painting and pre-staining facility where we can customize your windows with a color that perfectly complements the existing paint scheme at your home – both inside and out. This allows you to avoid hiring a separate painting company to do even more work at your home. For more information about our window replacement products or the services we offer to homeowners in Arlington Heights, IL, and the surrounding areas, contact Next Door & Window today. When you do, one of our personable representatives will gladly answer any questions or help you schedule a consultation. If it’s time for a window replacement at your residence in the Orland Park, Illinois, area, consider turning to Next Door & Window. We have a robust line of windows available in a variety of styles, including double hung, awning, casement, round top, bay, and bow, among others. No matter what style of window you desire for your home, you can rest assured that you are receiving a top-quality product that is sure to improve your home’s curb appeal and energy efficiency. Improved security – Our windows are built with durable frames – available in fiberglass, wood, and vinyl – and sturdy, reliable hardware that will help make your home as secure as possible. Increased energy efficiency – Thanks to Low-E glaze-coated glass, our window replacement options reduce energy transfer. This helps to lessen the burden placed on your HVAC and heating systems throughout the year. 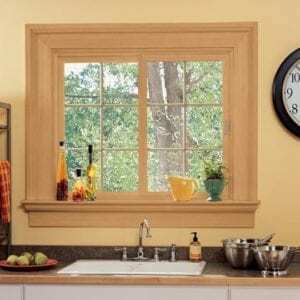 Simple functionality – Whether you seek a casement window, a double hung window, or any other functioning window, you can rest assured that your windows will open, close, and lock with ease. Plus, turning to Next Door & Window for a window replacement means you will receive benefits such as full-frame replacements and pre-painting and pre-staining finishes. Services such as these ensure that you will receive a positive customer experience unlike any other in the industry. For more information about the window replacement products we offer to homeowners in Orland Park, IL, and the surrounding areas, contact Next Door & Window today. For many years, Next Door & Window has provided expert window replacement services for residents living in and around the Wheaton, Illinois, area. We have helped countless homeowners boost the curb appeal and energy efficiency of their homes thanks to our reliable installations and top-quality products. Whether you want to trade out your old, drafty casement windows or replace your bay or bow window with an elegant upgrade, Next Door & Window has got you covered. Regardless of the window replacement products you require, you can rest assured that you and your Wheaton, IL, area home are both in the hands of trusted professionals. Our installation team is experienced and highly trained to ensure you receive windows that are the perfect fit for your home. Unlike other window companies, we typically perform full-frame replacements. This means that we will remove your entire window – frame and all – and replace it with a brand-new frame to increase the longevity and improve the appearance of your new windows. In addition, Next Door & Window is proud to offer pre-painting and -staining services – a rarity among window replacement companies. We can take a piece of trim and formulate a paint or stain color that will best match your existing color scheme. This ensures a flawless finish that is sure to make your new windows the envy of the neighborhood. To learn more about the window replacement services we perform for homeowners in Wheaton, IL, and the nearby areas, contact Next Door & Window today. When you do, one of our friendly representatives will happily answer any questions or schedule a consultation for a time that works conveniently for you. Searching for a trustworthy window replacement company can be a tedious task. With so many options available in the Downers Grove, Illinois, area, it can be difficult to know exactly what to look for. Thankfully, you can end your search with Next Door & Window – the trusted home remodeler in the region since 1947. When you turn to Next Door & Window for our window replacement services, you will have a number of different options available to you. We have fiberglass, wood, and vinyl windows, all of which are assembled by top manufacturers such as Sunrise Windows, Marvin Windows, and Infinity from Marvin. Plus, our team can install almost any window style, including double hung, casement, awning, and bay and bow. All of these selections allow you to select the window that best meets your needs for security, appearance, and energy efficiency at your Downers Grove, IL, residence. To learn more about the professional window replacement services we perform for homeowners in Downers Grove, IL, and the surrounding areas, contact Next Door & Window today. We have thousands of options to choose from, but we’ll help you find the one perfect fit for your home. If you are looking to upgrade your entryway or patio with new exterior doors, Next Door & Window is the name that you need to know. We have proudly served the Orland Park, Illinois, area since 1947, and, in that time, we have helped countless customers transform their homes with top-quality doors that are built to last. Durable – Our exterior doors are constructed to withstand the elements and prevent break-ins to help keep you and your family safe. Energy Efficient – Next Door & Window products are insulated and have bottom sweeps to maintain indoor temperatures and lessen the burden that’s placed on your HVAC unit. Appealing – Available with a variety of screen selections, stain colors, and hardware options, our exterior doors can be customized to meet your specific design preferences to a tee. Protected – When you turn to Next Door & Window for your new entry, patio, or storm door, you can enjoy peace of mind knowing that your new product is protected. That’s because we offer a five-year labor warranty on the doors we install. High-quality – We source all of our doors from trusted manufacturers such as ProVia, ThermaTru, Albany Door, Infinity from Marvin, and Marvin windows, among others. For more information about the exterior doors we offer to homeowners in Orland Park, IL, and the surrounding areas, contact Next Door & Window today. When you do, be sure to ask about the convenient financing options we offer to those homeowners who qualify. Homeowners seeking exterior doors for their residence in Wheaton, Illinois, or a surrounding area, can count on the home improvement professionals at Next Door & Window. We have earned a reputation as the remodelers to trust in the region thanks to our top-quality doors and the skilled team who installs them. This combination has earned us an A+ rating from the Better Business Bureau, an honor that we feel exemplifies the dedication we have for delivering the results our customers desire. Regardless of the type of exterior doors you decide on, you can expect more than just top-notch products. Next Door & Window also offers exceptional customer service. We pride ourselves on prompt communication and the workmanship warranties that we offer for the doors our team installs. We have been a family tradition since 1947, and Next Door & Window looks forward to welcoming you to our family. If you are interested in the exterior doors that we install for Wheaton, IL, homeowners, contact Next Door & Window today for more information. When you do, one of our helpful representatives will gladly answer any questions or schedule a consultation for the upcoming door replacement at your residence. Are you looking to purchase replacement windows in the St. Charles, Illinois, area? Do you also need a reliable home improvement company to perform the installation as well? If so, look no further than the window replacement specialists at Next Door & Window. A family tradition since 1947, we have transformed the homes of countless satisfied customers throughout the region thanks to a combination of name-brand windows and dependable, full-frame installations. For more information about the replacement windows that we proudly offer for homeowners in St. Charles, IL, and the surrounding communities, contact Next Door & Window today. When it comes time to have replacement windows installed at your home in the Overland Park, Illinois, area, consider working with the experts at Next Door & Window. We sell a full line of top-quality windows that are available in a number of styles, including double hung, casement, and awning, just to name a few. You can select the window that best meets your preferences for design and functionality. Full-frame replacements – Unlike other home improvement companies who perform basic insert installations, we remove the entire window – frame and all – to afford a stunning new look. Top-quality products – We source our replacement windows only from name-brand manufacturers such as Sunrise Windows, Infinity from Marvin, and Marvin Windows. You never have to worry about quality when you turn to Next Door & Window. Impressive warranties – Many of our products are backed by a five-year labor warranty that covers the installation work performed at your home. This provides peace of mind and protection for your purchase. In addition to these key advantages, Next Door & Window also offers exceptional customer service, such as prompt communication and open availability. From the moment you first contact us to decades down the line, our team will be there to ensure your complete satisfaction with your replacement windows. If you are interested in purchasing replacement windows from Next Door & Window, contact us today for more information. Discover for yourself how we have become the home improvement company Overland Park, IL, residents count on for reliable service time and again. Next Door & Window proudly sells and installs replacement windows for Wheaton, Illinois, residents. We offer a combination of high-quality products, reliable installation services, and outstanding customer care that is truly unrivaled in the industry. This combination has helped us earn an A+ rating with the Better Business Bureau, an honor we are proud to have received. Regardless of the replacement windows you decide on for your home, you can rest assured that you are in good hands with Next Door & Window. Unlike other home improvement companies, we perform full-frame window replacements. We remove the entire frame and trade it out for a gorgeous, durable upgrade that will increase the longevity of your replacement windows. We also offer a unique pre-painting and pre-staining service, which ensures that your new windows will be the exact color you desire for your home. This service also means that you don’t have to worry about working with third-party painting contractors, which can save you time and money. For more information about having replacement windows installed at your Wheaton, IL, residence, contact Next Door & Window today. One of our friendly and knowledgeable representatives will gladly answer any questions or help you schedule a consultation for your upcoming window replacement. Homeowners in the market for replacement windows from a reliable home improvement company in the Downers Grove, Illinois, area, can entrust the experts at Next Door & Window. A family tradition since 1947, we have helped people across the region improve the appeal and functionality of their homes with gorgeous window replacements from top-flight manufacturers, such as Sunrise Windows, Marvin Windows, and Infinity by Marvin. Casement – Our casement replacement windows can be installed to swing inward or outward – depending on preference – for easy cleaning and simple operation. Bay and bow – Bay and bow windows offer a modern appearance, and expansive view of the yard, and invite natural light into the home. Double hung – The double hung windows we install feature a fiberglass inter-lock system that boosts structural performance and eliminates air drafts to help improve the energy efficiency of your residence. Awning – Next Door & Window installs replacement awning windows that open and close with ease and feature tuck away folding handles to ensure smooth operation. To learn more about the different styles of replacement windows that we install for homeowners in Downers Grove, IL, and the surrounding areas, contact Next Door & Windows today. One of our friendly sales representatives will gladly answer any questions or provide you with details about the flexible payment options we offer.